If you’re watching this video, hopefully you’ve gone through our video series, which has been building up to this. Well done for working on your skills and for putting more effort than most would into your learning. We have worked on a lot of skills and steps – isolating them with focused exercises. Now it’s time to bring everything together, recap it and draw some figures from start to finish. It’s best to watch the video in order to see the demonstrations, but in case you prefer we have also written out the lesson below with screenshots. We first looked at lines of movement. Hopefully you are still practising seeing these, maybe even doing the newspaper exercise and getting used to capturing these lines on paper. We will start our drawings with these, keeping them light. Remember to be bold, to feel rather than analyse. Just big sweeping lines that capture the essence of the pose. Next we will put down our visible landmark superstickfigure, again lightly, complete with ribcage and simple pelvic area. We start with the head – a line across the top and another two curling down each side to the chin. Add in the two dissecting lines – one that runs along the top of the head through the middle of the face down to the chin and another that runs around the head through the tops of the ears and through the eyebrows. Add the v of the neck if you can see it. Then the torso centre line – the line that runs down from the middle of the collarbones through the middle of the chest, through the belly button and down to the crotch. Or if viewing the torso from the back, the line of the spine. 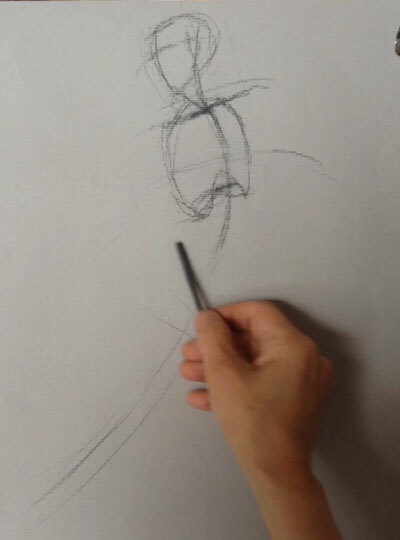 Next, depending on the angle you’re viewing the pose from, will be the line of the collar bones if from the front, the shoulder blade triangles if viewing from the back, or just oval of the shoulder if that’s all that’s visible because you’re viewing from the side. Use your measurement techniques to note the angle of all these elements, and how they align with other parts of the figure. Don’t worry too much about getting things wrong – we are going to be correcting things throughout the drawing. Next we will add the ribcage shape. Use the arch at the bottom front edge of the ribcage, solar plexus, torso centre line and the middle of the collar bones to place and angle the ribcage. Now move on to the pelvic area. 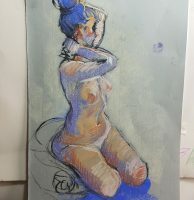 Note the location of those jutting out tips of the pelvic bone which the front side of the waist, if visible from the angle you’re viewing the pose. Using those points, draw the line that the waistband of a pair of underpants would run along, around the figure. Often this line runs a little higher on the back than front. If viewing from the front, add in the triangle down to the crotch. Add in simple lines for the arms and legs and triangle placeholders for hands and feet. Check vertical and horizontal alignments between different points of the body. The ear, the ankles, elbows and so on. Check angles – the torso centre line, the line between the tops of each shoulder, the pelvic bone line, the arms and legs. Check lengths and distances in terms of head lengths. Be unafraid to correct things. When you do, put down the correction first using the incorrect marks as reference points. 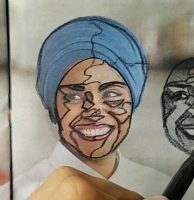 Then remove those incorrect marks. 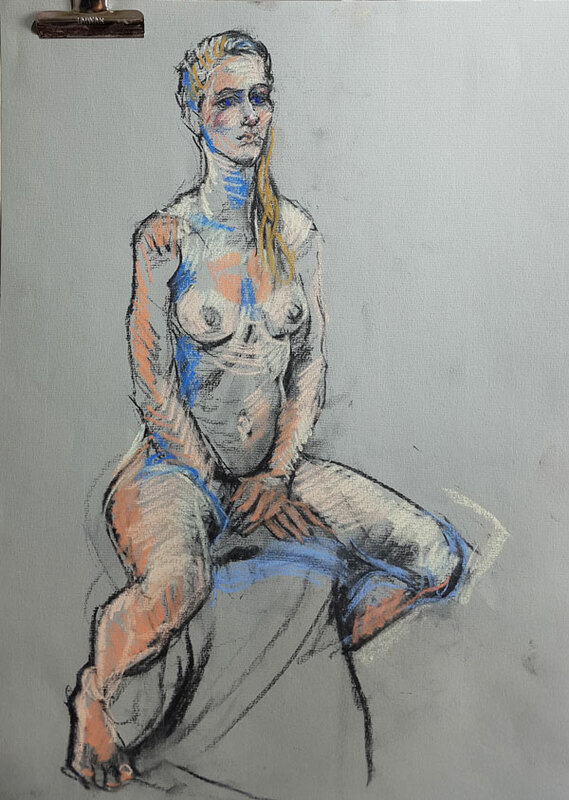 Now start to flesh out the figure with simple contours and tonal areas. Resist detail. Squint your eyes to see the tonal areas, and keep them as simple as possible. Using simple lines for the contours. Continue to measure angles, alignments, lengths and distances and be open to moving and correcting things. 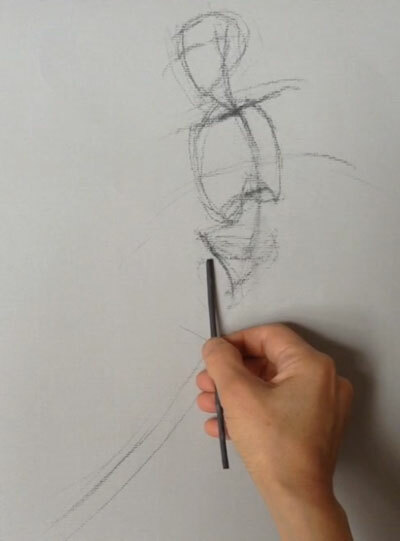 Sparingly add in the very darkest and lightest areas if possible to add depth and draw the eye into the drawing. Treat the hair in the same way as other body parts – as simplified 3D masses. Now we have captured the most important information about the figure, we can add our final marks and detail. At this stage, we can bring back the boldness and feeling that we used in our first movement lines. See the movement in every contour and tonal shape. Let the feeling of that movement flow into the lines you use. You can start to add nuanced curves and detail, but try to choose details that will add to the feeling the drawing gives. At this stage, we have the structure in place, so we’ll just be building up further layers of tonal variation, detail and nuance, depending on how far we want to go. If you like, you can sparingly add some areas of highlight, in this case with a light coloured pastel. , or with watercolour here. Or you can go more in-depth, and build up more and more nuance and detail – the extent of the additional layers of information you want to add is up to you, and your time constraints. Note that the process we’ve gone through here is too time consuming for very quick drawings of less than 5 minutes. We’ll go through in a future lesson how we can adjust our approach when we only have a few minutes. 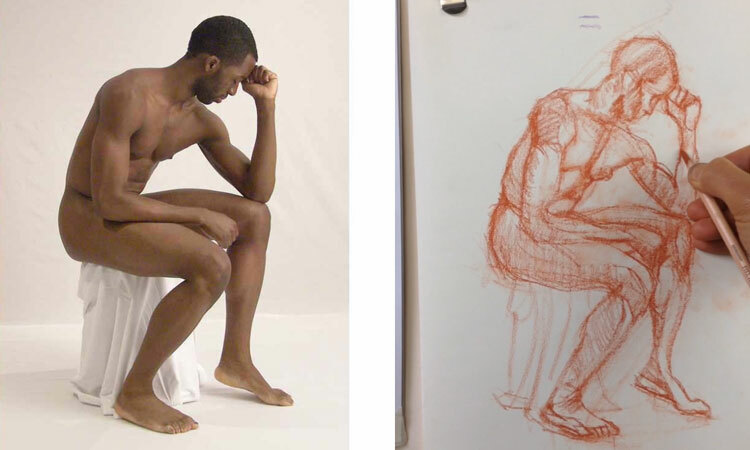 By now we have gone through the process of drawing a figure, balancing feeling and dynamism with proportions and measurements. 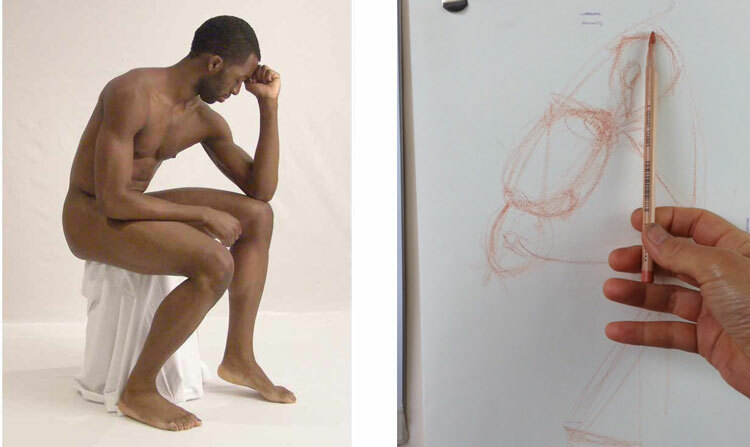 This is just the beginning of the big adventurous journey into figure drawing. 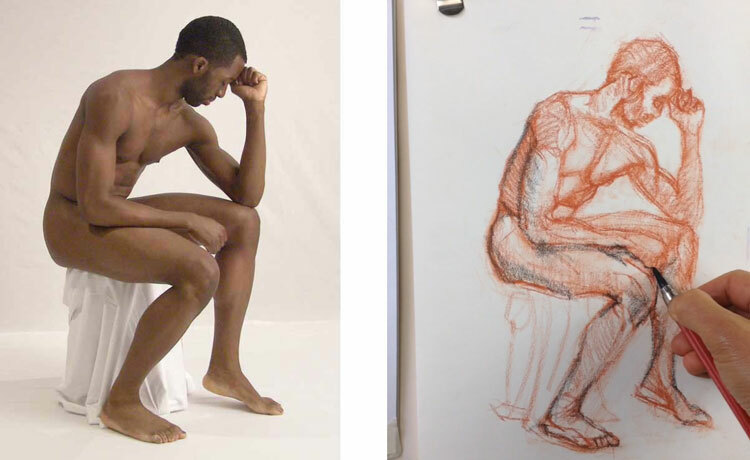 As you continue to practise and improve, your drawing process will change and become more refined to your own style. 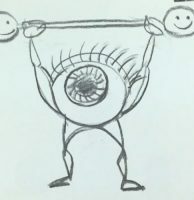 There are also so many more exercises and ways to train our eyes and arm and retrain our minds, ways to improve our mindsets and to build our confidence. 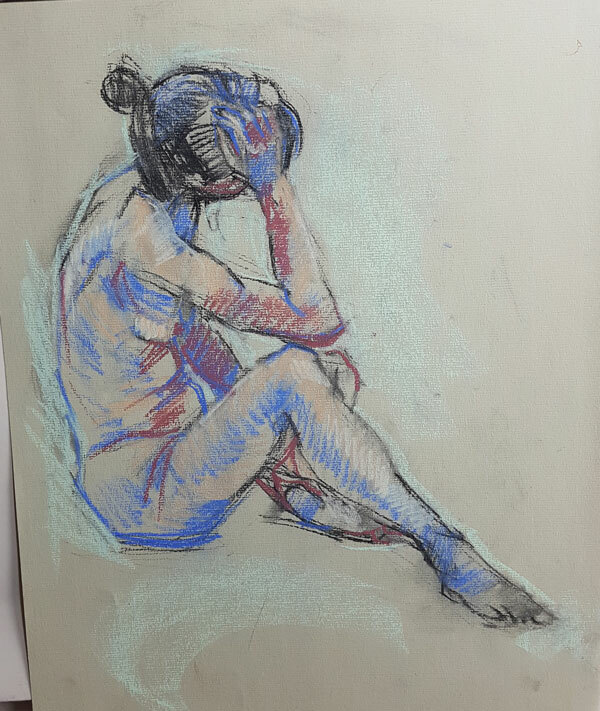 At love life drawing we are going to continue to explore those with you every week on this channel and at our site lovelifedrawing.com, and we hope you’ll join us on that journey, so be sure to subscribe to our YouTube channel, to our newsletter below, to our new Facebook page and our new Instagram account! Hey thanks for the support Laura – I’m so glad it’s been useful to you! This is really fantastic. And so simple! Thank you, I start now, back to Lesson 1. I think I’ll be able to do that all. I’ve just walked thru all the 10 Lessons, diagonally, in 20 min, and you’ve solved all the secrets. I’m enormously grateful. Hey Igor that’s great – what do you mean about going through the lessons diagonally? Sounds interesting! Thanks for these really great tutorials. I am a professional artist but work in 3-D ans as a result have let my drawing skills lapse. These have served as a refresher course into the lessons I have long since forgotten. Bravo!